Our John Michael Exquisite Weddings and Catering team loved seeing the details of Shawna and Mike’s Paradise Cove wedding come to life. Generally, our blogs focus on the couple and the food choices for their wedding reception, but this wedding has so many more fun, unique details we had to share images of those too. 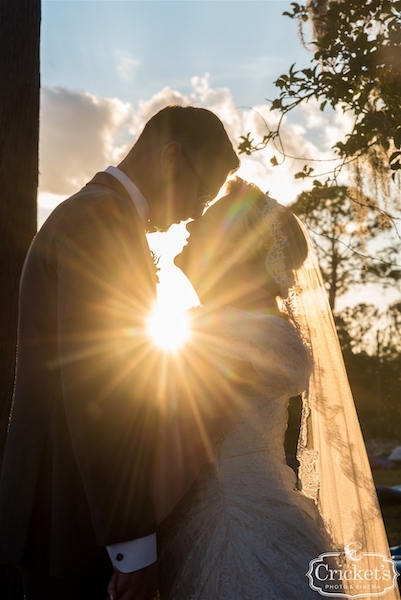 Thanks to Cricket’s Photo and Cinema for sharing these awesome wedding images with our team. 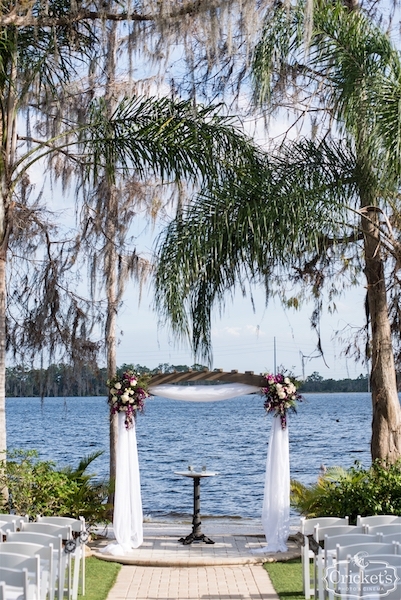 The couple’s waterfront wedding ceremony was held on the lawn just off the white sand beaches of Orlando’s Lake Bryan. 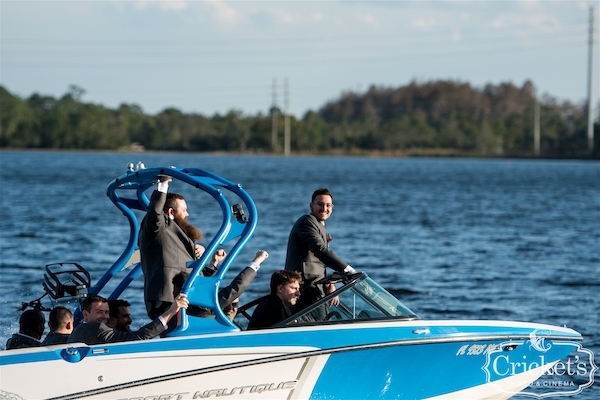 Mike’s arrival at the wedding ceremony with his groomsmen quickly became the center of attention as they arrived across the lake by speedboat. 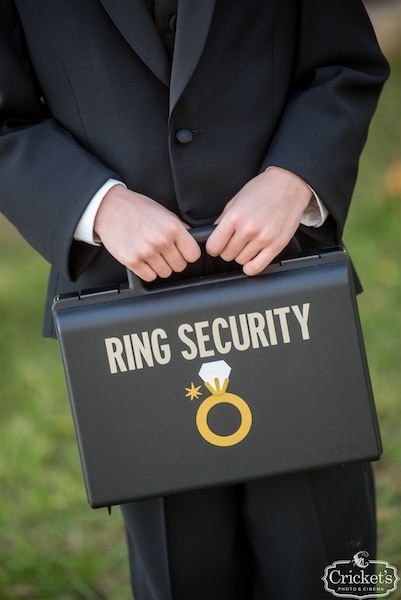 This adorable briefcase for the couple’s wedding rings was another fun wedding ceremony detail. 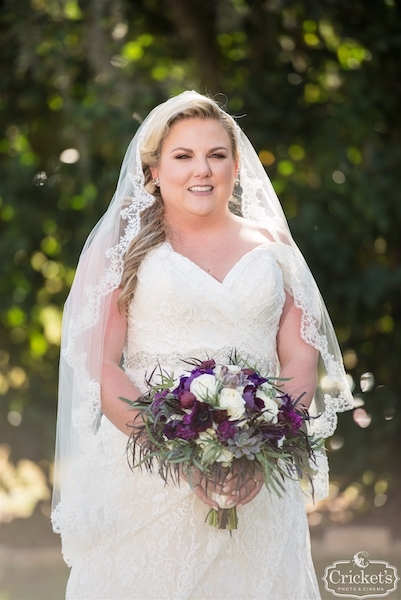 Shawna looked beautiful as she walked down the aisle in a lace wedding gown with sweetheart neckline, mantilla style wedding veil and purple and white bridal bouquet. 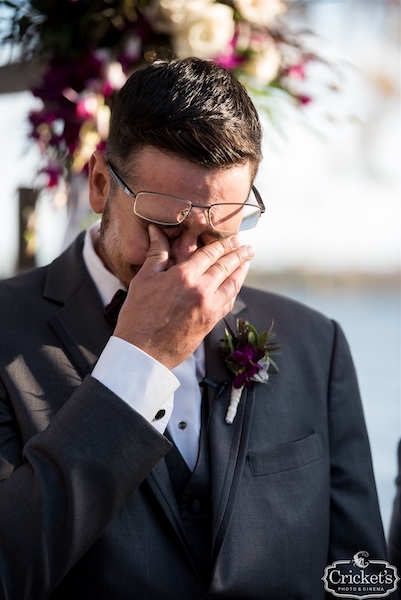 It was a moment that brought Mike to tears. 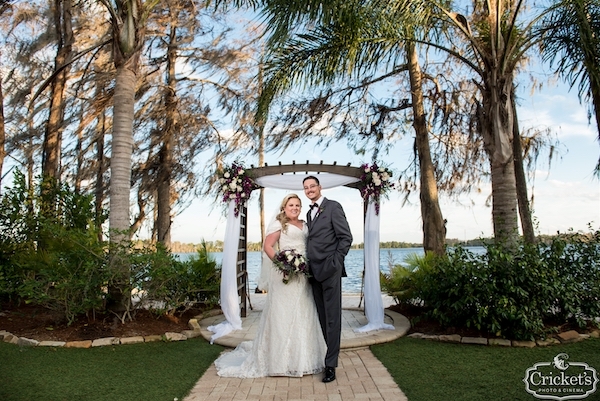 Following their wedding ceremony, the couple and their guests enjoyed the central Florida beachfront venue and some butler passed hors d’oeuvres. 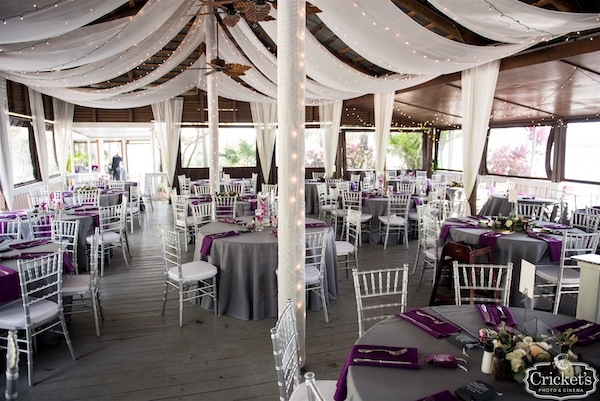 Our grey floor length linen paired with plum napkins set the perfect stage for the evening of dinner and dancing. We also prepared a plated Children’s Meal of chicken tenders and dipping sauces, served with mac and cheese and fresh fruit. The nearly hundred and fifty wedding guests enjoyed a delicious dinner and an evening of dancing. 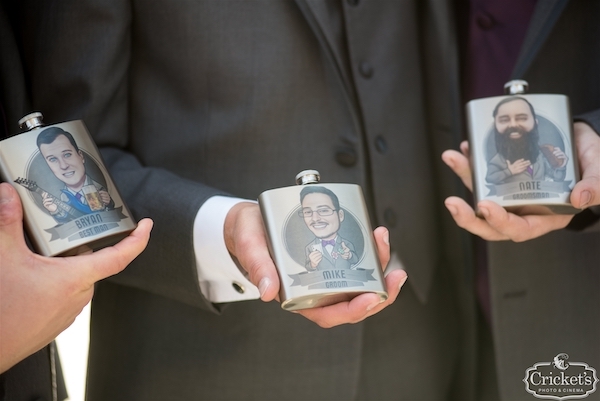 Other incredible details of this wedding that caught our eye and won our hearts were these fun personalized flasks for the groomsmen with caricatures of each of them. 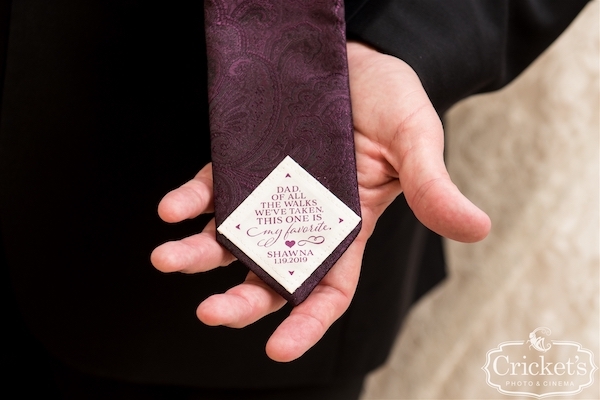 We also loved this sweet personalized detail added to the back of the tie Shawna’s dad wore. Congratulations Shawna and Mike! We wish you a lifetime of love and happiness.